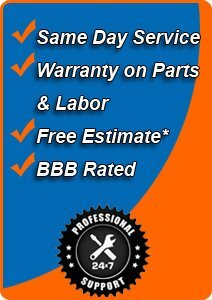 At L.A. Fixit we’ve enjoyed being a part of the Los Angeles and San Fernando Valley for near 30 years. We’re a family run business. We first opened our doors in 1986, and have been helping both residents and businesses in this great area with their appliance maintenance and repair needs ever since. We couldn’t be happier. We feel the reason for our success stems from the fact that we strive to put the customer first from the first moment we connect with them, usually via a phone call or an email, until whatever appliance repair needed has been completed. The strong connection we develop with the customer, as well as our honest business practices has not only been the reason we enjoy so much repeat business, but it’s also why so many of the calls we get from new customers stems from word of mouth advertising. We couldn’t be happier. We understand you can’t predict when your appliances will stop working, and we don’t think they should inconvenience you. You deserve to have your appliances fixed as soon as you possibly can, which is why we don’t maintain the same business hours made standard by our competition. Our customers deserve 24-hour service, seven days a week, and that’s just what they’re going to get. We also make every effort to help you take advantage of same day service. After all, the sooner we get your appliances fixed; the sooner order will be restored to your life. Unlike some other appliance repair shops, we don’t limit ourselves to fixing one type of appliance or one particular brand. We like them all, and we can fix them all. We’ve gone to great lengths to make sure every single person on our repair team has acquired a high number of hours working on various appliances, and, even more importantly, that they have received and maintained their factory certification. You will be hard pressed to find a better team of repair experts. In addition to expert appliance repair techs, we also have fully trained and licensed plumbers and electricians on our service team. We have also noticed that having a great team isn’t much good if they’re going to be working with shoddy equipment. Rather than sending our team out with inferior tools and parts that don’t fit as perfectly as they should, we go to the original manufacture and pick up the real deal. We don’t believe in second-rate replacement parts. When we repair an appliance, we want to make sure it stays repaired. We’re fully licensed and bonded, and we’re completely insured. Not only do we provide an accurate estimate, we don’t even charge for the amount of time it takes our techs to get to and from appliance repair calls.